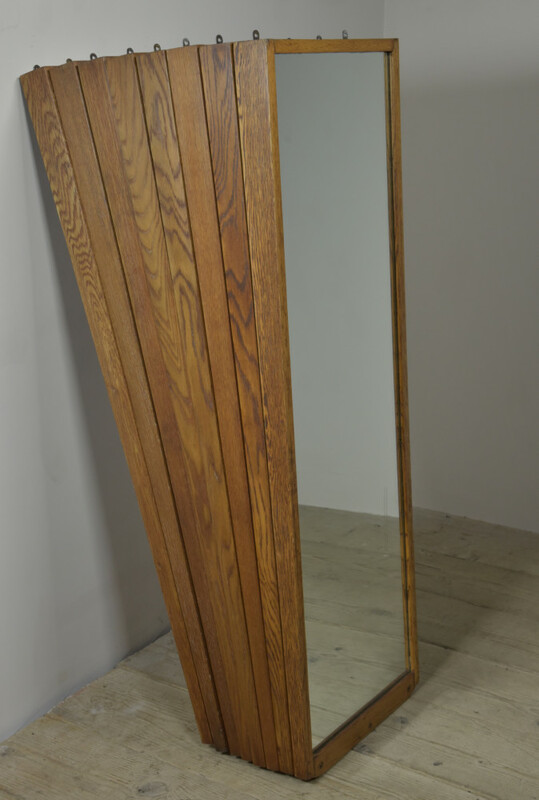 A set of 8 oak framed mirrors of dovetailed construction from an English school. Approx 1940s/50s. The frames have all been stripped back and refiinished and are in excellent condtion. 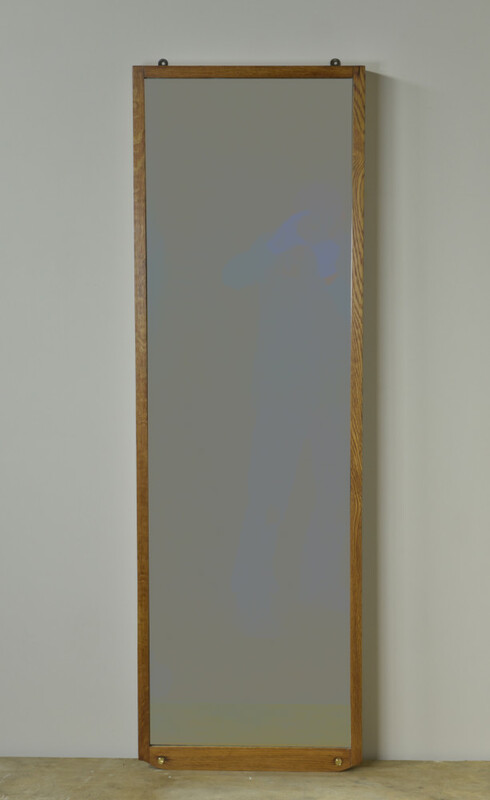 The original mirror plates are all useable with some showing fine scratches and minor spotting and two which have a deep scratch. 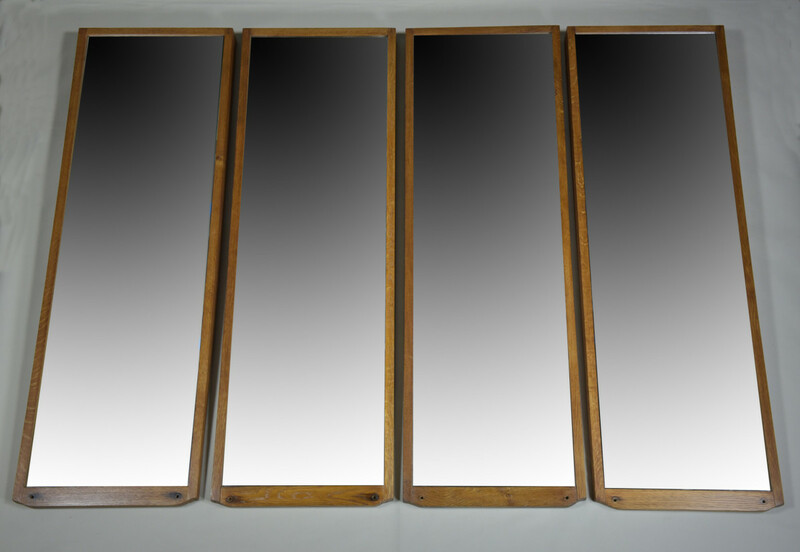 Condition reports and sets of photos for all 8 mirrors are available if required. 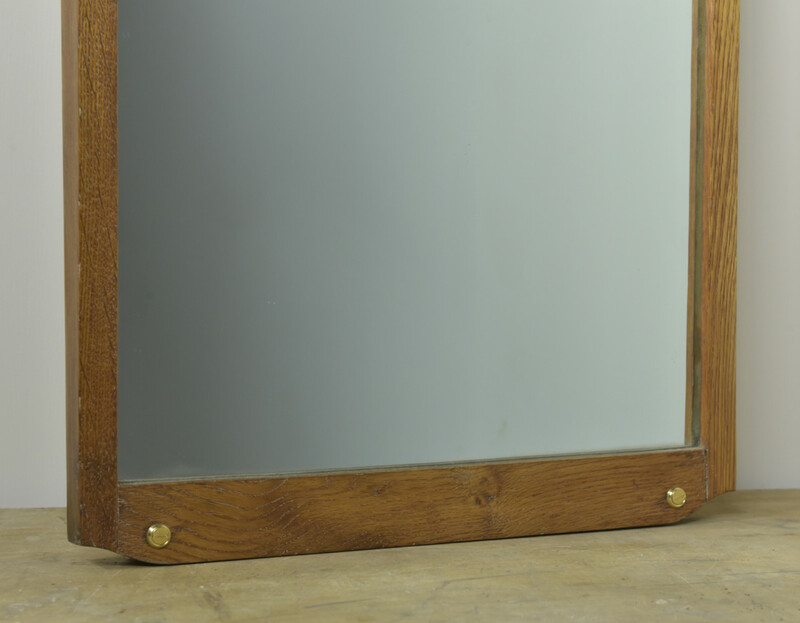 The brackets at the top of the mirror are original and have been cleaned. 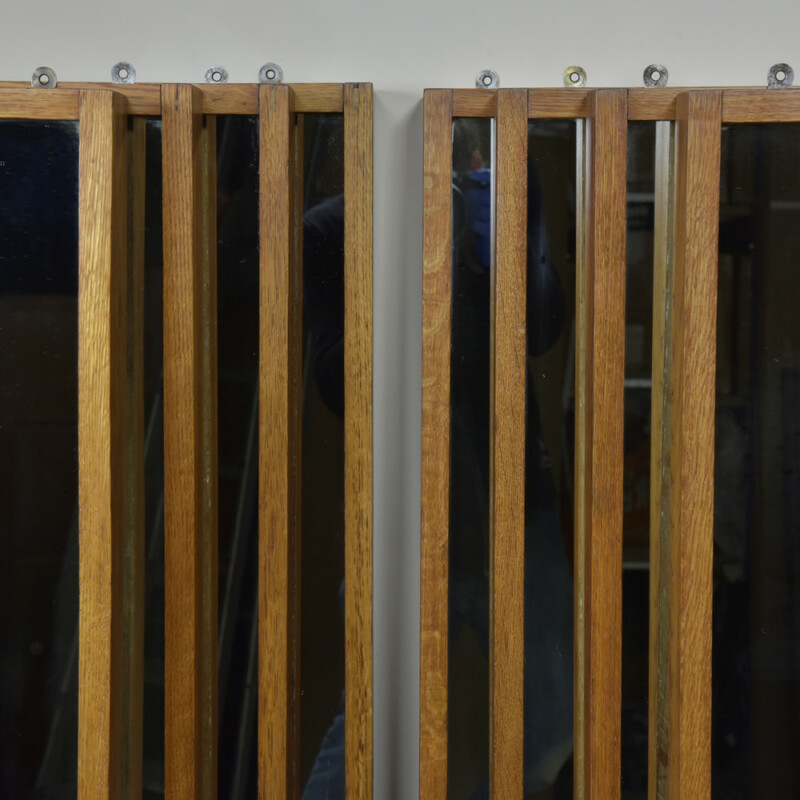 The mirrors will be supplied with new solid brass screws and brass cups (for the lower two screws). Please note the mirrors are slightly angled downwards when fixed to the wall. 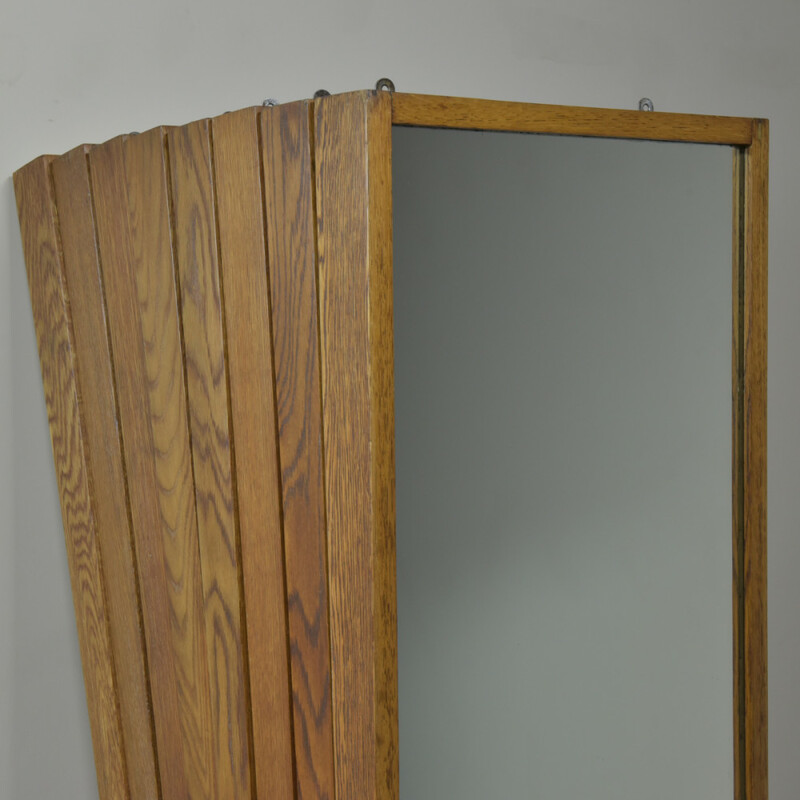 These are very useful mirrors in the home in a commercial environment. Dimensions in inches/cms; 16.25"/41cms wide by 50.25"/128cms tall. Depth is 2.5"/6.6cms at the top and approx 1"/2.6cm at the base. For more and higher res images please see my blog which can be accessed through the news section of this (haes) website.